Let's start from the beginning. 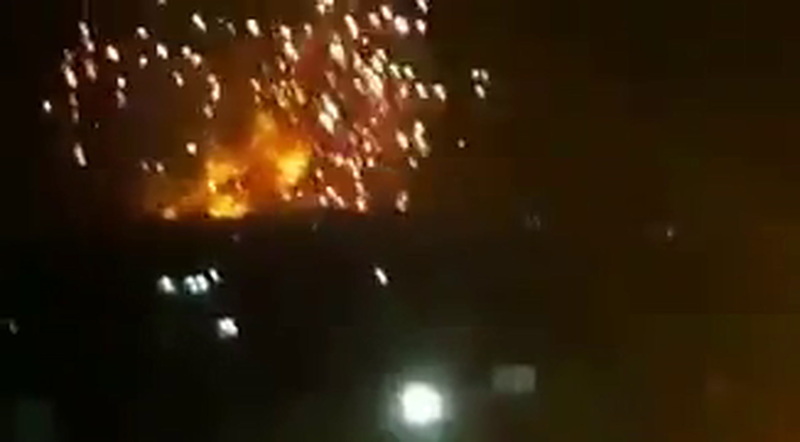 Israeli Defense Forces launched a salvo of missiles at the Syrian capital of Damascus on Sunday as part of its increasingly belligerent posture towards the Iranian forces fighting there, Reuters reports. The raid purportedly targeted Iranian military personnel, Israeli Prime Minister Benjamin Netanyahu told Reuters. According to Syrian Observatory for Human Rights, 11 people were killed. "We will strike at anyone who tries to harm us," Netanyahu said on Sunday. Speaking to a state-run news website in the aftermath of the strikes early Monday, the head of the Iranian Air Force responded in kind: "The young people in the air force are fully ready and impatient to confront the Zionist regime and eliminate it from the Earth." Two things come to mind here. First, I can't help but think of LikeWar, last year's topography of warfare in the digital age by Ghost Fleet co-author Peter Singer that details the way in which state and non-state actors battle for hearts and minds through the Internet. This silly tweet isn't an exception; it's the perfect embodiment of #LikeWar in a nutshell. Second: Who wants to bet that this IDF social media manager was definitely blasting Flock Of Seagulls while messing around in KidPix here?